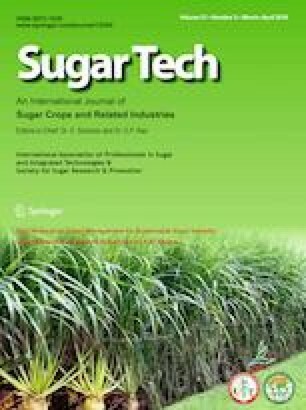 Saccharum spontaneum L. is an important sugarcane germplasm resource with excellent properties of cold, drought, barren, insect and disease resistance. To improve the utilization efficiency of S. spontaneum in sugarcane breeding and variety improvement, the genetic diversity and phylogenetic relationship of 70 S. spontaneum species with different ploidy levels (2n = 40, 48, 54, 64, 80, 88, 92 and 96) from Tibet of China, Nepal, and Myanmar were analyzed using sequence-related amplified polymorphism markers and capillary electrophoresis. The results showed that the average number of polymorphic loci and the proportion of polymorphic loci in polymerase chain reaction amplification results using 16 pairs of primers were 77.19 and 95.22%, respectively. There were significant genetic diversities among different ploidy levels of S. spontaneum. The coefficient of gene differentiation (Gst) and gene flow (Nm) of different ploidy levels of S. spontaneum were 0.31 and 1.11, respectively, suggesting that there is significant genetic differentiation among S. spontaneum from different geographical sources and that gene exchanges have occurred among S. spontaneum with different ploidy levels. Cluster analysis showed that S. spontaneum of the same ploidy level tended to cluster together, and variance analysis showed that intra-specific variation was significantly higher than inter-specific variation in S. spontaneum with different ploidy levels. The results showed that S. spontaneum from Tibet China, Nepal and Myanmar demonstrates significant genetic diversity and that gene exchanges have occurred among S. spontaneum with different ploidy levels. The ploidy evolution of germplasms might be a mesh-type development rather than a single direction. The research described in here was supported by the National Science Foundation of China (31260348, 31460372 and 31760417).